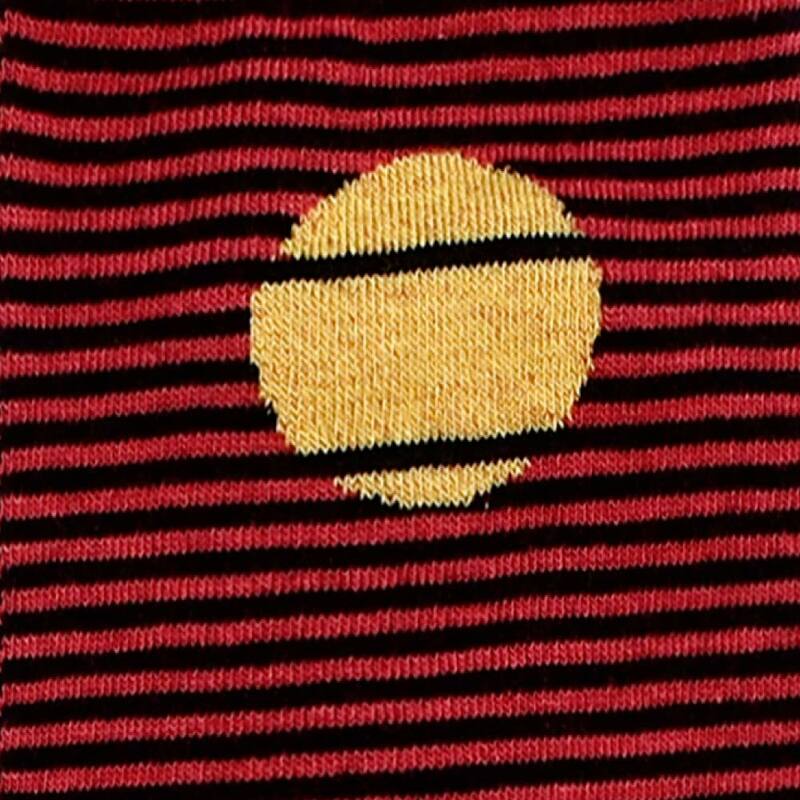 Striped socks with black stripes and raspberry stripes, illuminated by a yellow sun with lurex glitters. Sparkles of light perfect to illuminate your look! 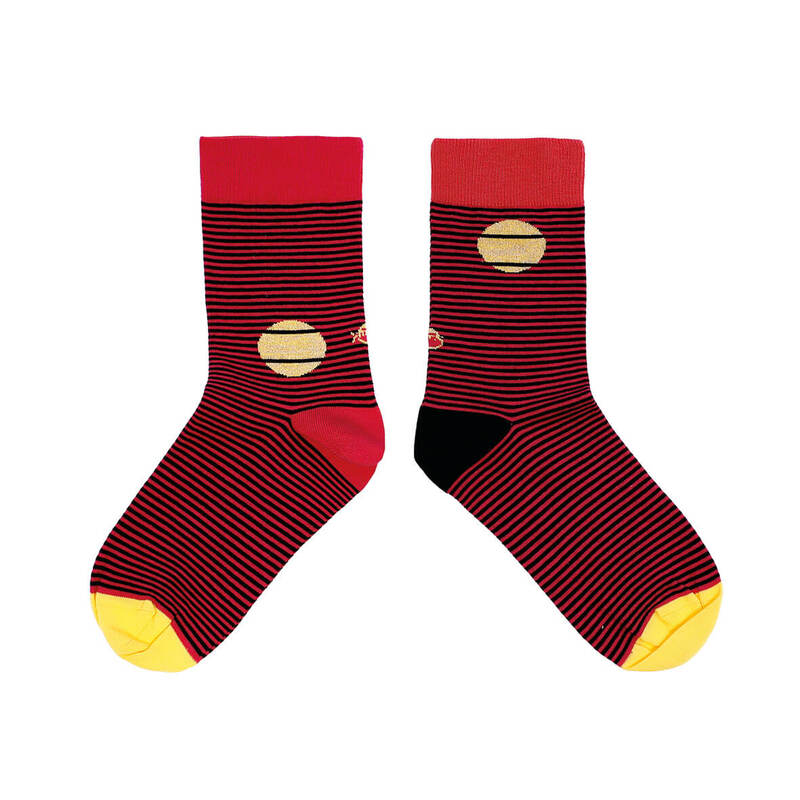 Original socks ideal for a night out or for a casual look. 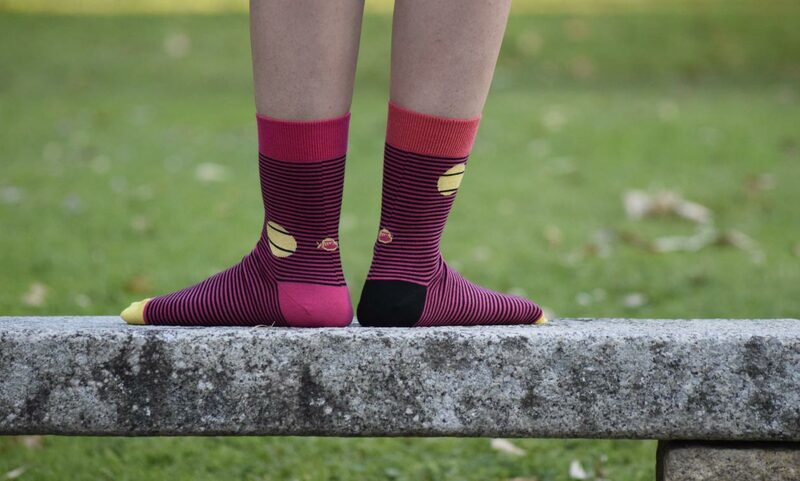 Soft socks made in Portugal with the best egyptian cotton , and without annoying seams in the sock tip so that you can enjoy the day-to-day here and at the other end of the world. A pair, two unique socks. The difference in colour between the left and right sock further reinforces the peculiar character of this pair of socks. These Lolo Carolo socks are available in Mid-calf.